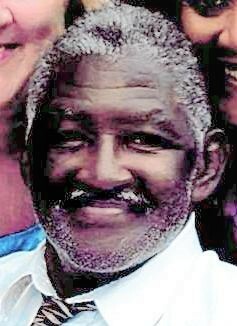 Lee Mark Upshaw, 62 of Ravenna passed away Saturday, August 18, 2018 at his home. He was born February 20, 1956 in Columbus, GA to Jounis and Carolyn Upshaw (Colbert). Siblings include Donald Upshaw, Cynthea Upsahw-Jones, and Sylvester Upshaw. He was also survived by his wife Valencia Upshaw (Howard) of 30 years. The two of them attended the Streetsboro Kingdom Hall of Jehovah’s Witness. Mark was a Lucalux operator for GE for 20+ years. He was an avid teacher and worshiper of Jehovah. Mark loved teaching others about Jehovah. He was a master chef at Bar-B-Quing and loved fishing. Cremation has taken place. A celebration of life will take place at 3:00 PM Saturday, September 8, 2018 at LaPlace Banquet Hall, 1850 Buchholzer Blvd., Akron, OH 44310. Arrangements have been entrusted to Shorts Spicer Crislip Funeral Home Ravenna Chapel.